WE HAVE SAVED THE BEST FOR LAST. 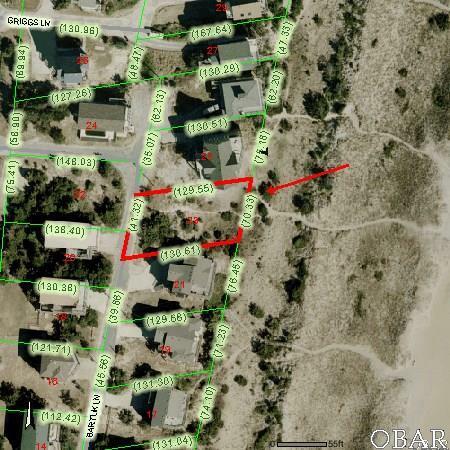 THIS PRIME OCEANFRONT LOT RESTS ALONG THE ELEVATED ORIGINAL DUNE LINE IN SOUTH AVON. OCEAN AND SOUND VIEWS ARE EXTRAORDINARY. THE PERFECT SPOT TO BUILD YOUR OCEANFRONT DREAM. IN FACT THESE SELLERS HAVE DONE THE MAJORITY OF THE WORK NECESSARY TO BEGIN. WE HAVE PLANS, NUMEROUS PERMITS AND A FEW ESTIMATES IN PLACE. HUGE PROTECTIVE DUNE SYSTEM OUT FRONT. GREAT RENTS ARE A SURE THING. LET'S BUILD ONE TOGETHER. HOUSE PLANS ARE FOR A 4 BEDROOM 4 BATH 2240 S.F. HOME WITH TWO LAUNDRY CENTERS. 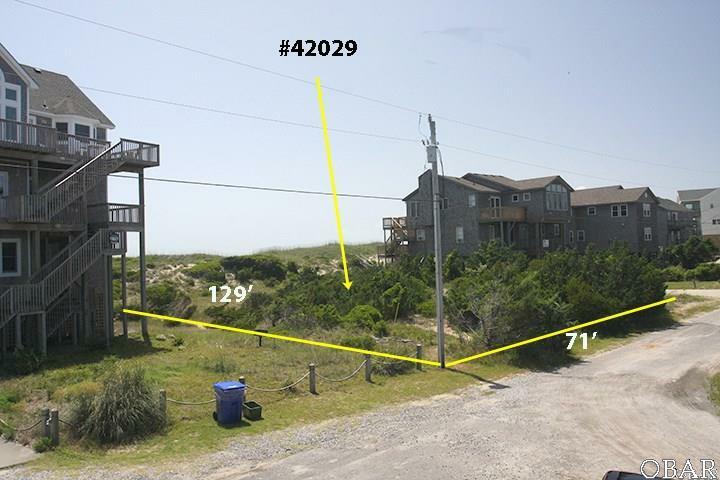 SELLERS ARE FORMER HATTERAS AND CURRENT ALASKAN PROPERTY OWNERS. THEY KNOW HOW TO DESIGN AND BUILD FOR THE WEATHER AND RENTAL MARKET. LOTS OF APPROVALS IN PLACE. 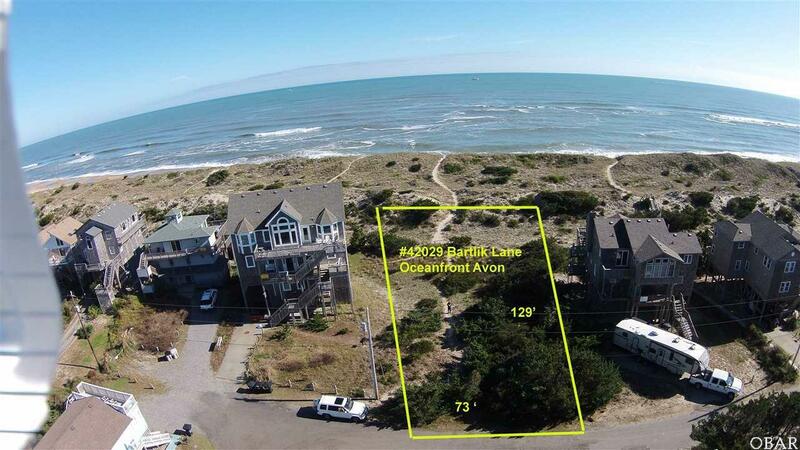 PURCHASE INCLUDES NEARLY A YEAR OF THE SELLER'S HARD WORK TO PUT THIS BEACH DREAM IN PLACE. DARE COUNTY WATER HOOK UP IN PLACE, CAMA PERMIT FOR HOUSE PLAN IN PLACE , DARE SEPTIC IN PLACE FOR 4 BEDROOM HOME. 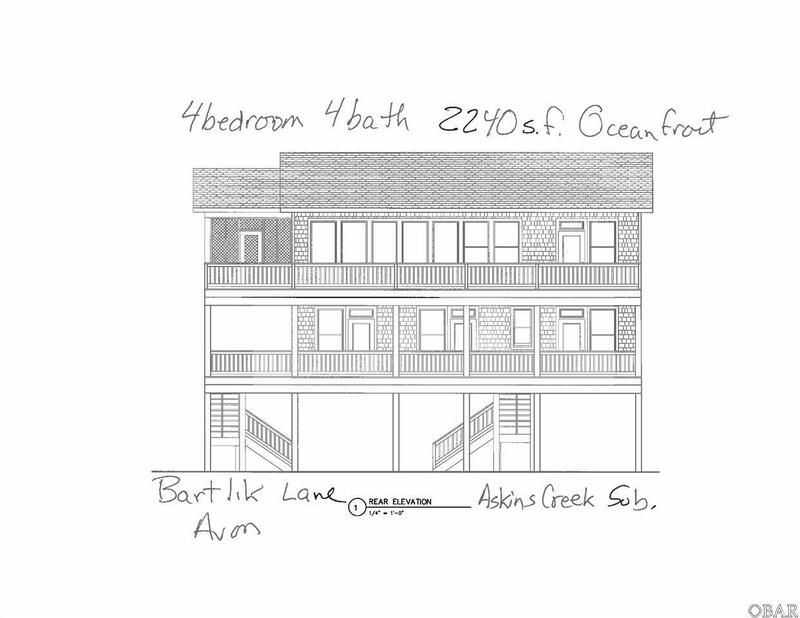 PLANS FOR 4 BEDROOM / 4 BATH 2240S.F. HOME PREPARED AND ENGINEER APPROVED, SURVEY BY RANKIN. BUYER WOULD NEED DARE COUNTY BUILDING PERMIT TO BEGIN.